Hey everyone ... I have this post up at the Corsair forums but figured it can't hurt to get your recommendations as well. I spent countless hours trying to get my new SSD up and running, but so far have been unable to install Windows 7 on it. I'll do my best to list each step I took, and the issues I encountered. Also NOTE: This is a Sager NP5165 Laptop, and the Bios is up to date. Board is set to AHCI throughout. Installed the SSD and booted with the USB key. The drive was not recoginized during the install. Replaced the SSD with the original hard drive and installed the SSD as secondary, booted to windows and the drive was not recognized. Drive is present in disk management. Initialized the disk, and it works as expected. Shows in Computer etc. Shutdown, removed the mechanical drive and replaced it with the SSD. Boot to the USB key and attempt a Win install. I tried the same steps using a Win7 DVD as well, and had the same issue. It was at this point after reading tons of threads on these forums I decided to update the firmware on the drive from 1.2 to 1.3. I swapped back to the mechanical drive with windows on it already, and put the SSD in as secondary. Followed the update instructions to the letter, and the drive updated without a hitch. 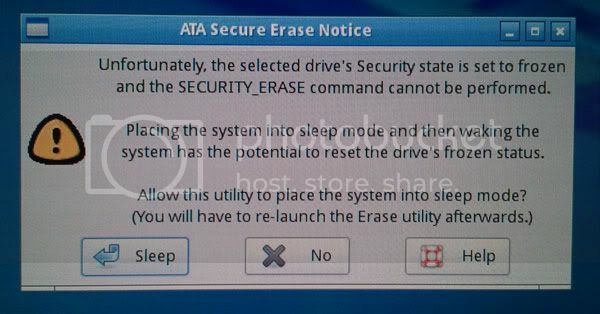 Throughout all the reading, the recommendation to secure erase the drive after the update was the next step. I created a boottable USB key using the Corsair instructions, and used Parted Magic. Booted Parted Magic, went to erase disk, chose internal zero option as stated in the how to doc. and I received the following error. The error states that if the pc is put to sleep it may be able to continue. I do this and it finishes the disk erase without issue, showing this finish screen. After all that, I went back to installing Windows with the USB key, only to encounter the same issue as when I began. The drive though didn't have any partitions on initial start of the windows setup. I allowed Windows to choose what to do, as well as after a second erase of the drive, created a partition. Neither options worked. At this point I'm out of ideas, and patience. Sorry for the long read. I would appreciate any help or ideas anyone has. And if it's TLDR then this image should sum up my current mood! :eek::laughing: Oh SSD.... WHY?!? The post is directed to the Corsair forums ... but if you have any insight as to what I should do next it would be really appreciated. Well ... it has been partially solved. I had to do the windows install on my Lenovo Y560, then swap the drive over. The catch though ... is that it will not boot in port 0 on the Sager. Why? I don't know. Luckily I have the optional Hard Drive Caddy that replaces the ODD, and it will boot in that slot (port 1). I don't like the idea of having my OS drive in the caddy though, as it tends to come loose slightly and moves when you have the laptop in a bag. Oh well ... it will do for now I guess. It seems Corsair SSD's have quite a bit of trouble lately with running in certain Sandy Bridge based laptops. I saw postings about it on the Sony SA/SB series and also on the Samsung QX412. And now you're having issues on a Sager. Is it possible to return it? Probably better off with an Intel SSD since I'd assume compatibility should be there. Considering the problems you had I would have started a RMA for the drive. 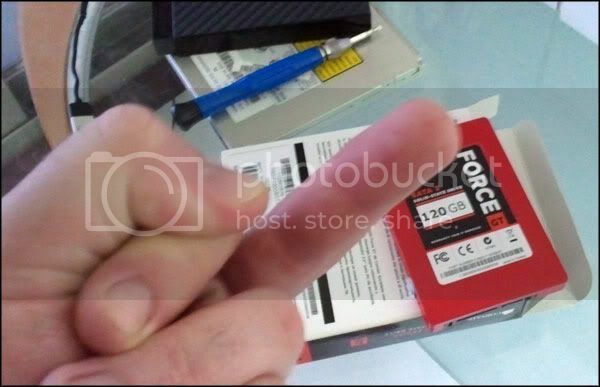 I have a Force 3 240 and I had major issues with it including not being able to get an image on it and then once it finally did get the image on it, it would crash and freeze constantly, completely unusable. I did an RMA and have since gotten a drive that I got my image on without any issues what so ever and seems to be pretty darn stable for now. To me having to run it off of that one port just doesn't seem like a reasonable solution. Now that said did it work fine in the Lenovo without any problems? If so then as JD said you may be running into what is more a problem of your notebook compatibility with the drive. I'm leaning towards it being an incompatibility with the Sager board. As it has been running fine (in the wrong port though) since I made my last post. I'm just finishing reinstalling all my programs and what not now. As far as it working in the Lenovo? I only kept it in there long enough to boot to windows for the first time. But ... the install did go off without a hitch. Worked as expected. So that was a relief compared to the hell I went through yesterday ... lol. It's past it's return date ... or at least it will be before the time I'm back in Canada, so I can't return it. If I have the slightest issue with it I will do an RMA though once I'm back. I'm going to benchmark it a bit later and make sure it's putting out reasonable numbers. But so far everything has installed fine, and damn it boots fast. If it keeps working without any major issues, I might just keep it until the holidays and then upgrade ... and then relegate this one to a family member as gift for their desktop.